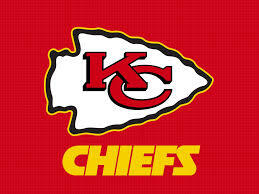 By far the most uncertain sports team name due to the NFL’s popularity and ongoing controversy. So far the United Church of Christ has condemned the team for it’s ‘demeaning’ name, the state of California has advanced a bill to ban the name, as well as ‘Redskins’ mentions have been down 27% on NFL broadcasts. 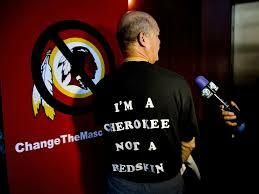 A federal judge ruling that the team cannot legally register trademarks for it’s “Redskins” nickname took place. 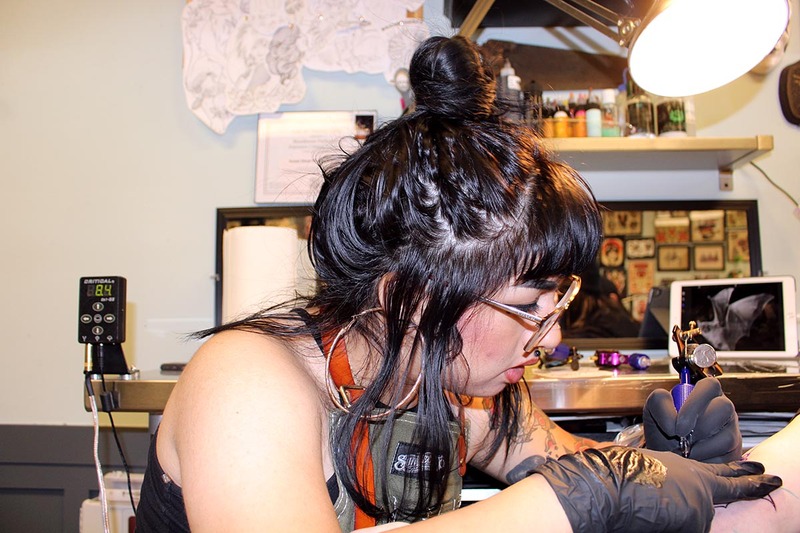 The board found at the time that the name was “disparaging to Native Americans,” violating the trademark protections for offensive language. This ongoing argument continues after the franchise sued the plaintiffs who originally brought the case, arguing that the Trademark Board’s ruling violated the First Amendment’s protections of free speech. The name has been protested since 1992, with so many other options available, a torn fan base can only wait and see what decision will be made. 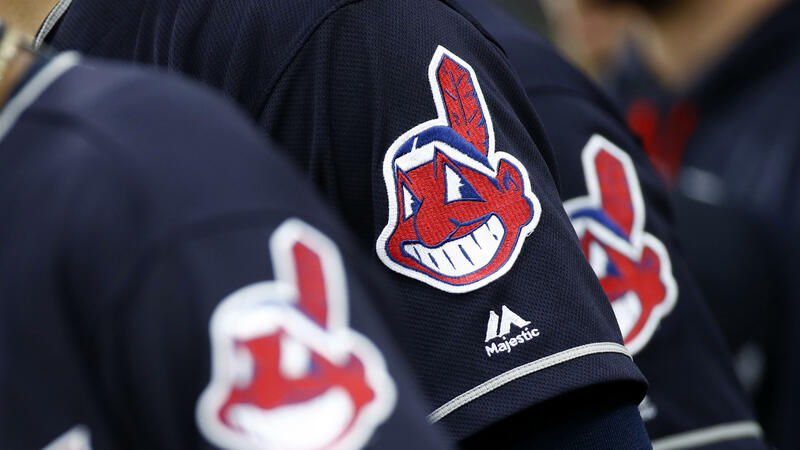 Cleveland Indians’ Chief Wahoo logo will be deserted from the team’s uniforms for the upcoming 2018 MLB season. 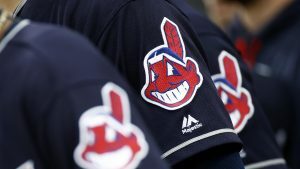 On Jan. 29, 2018, the Cleveland Indian’s well-known Chief Wahoo logo will be deserted from the team’s uniforms for the upcoming MLB season. This symbol isn’t close to as disrespectful as the Washington Redskins, resulting in no name change, but Major League Baseball believes that the cartoonish logo is outdated and needs to go. 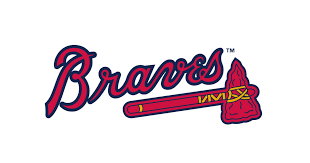 The oldest professional baseball team, originally the Boston Braves, established themselves in 1871 and have moved to several different locations before currently residing in Atlanta. The team’s old mascot, Chief Noc-A-Homa, used to be located in a teepee in the bleachers, but it didn’t take long for them to move on to Homer the Brave, their baseball-headed mascot. According to Ned Blackhawk, a Yale professor who specializes in Native American law and history, the term, “braves,” was acquired from Native American scouts who served alongside U.S. Cavalry troops. “It’s still a ‘one-dimensional representation of people’ that plays right into a stereotype,” Blackhawk added. Despite the mascot change, fans continue to celebrate a great play with their collective cheer, the Tomahawk Chop, also used by the Florida State Seminoles. Chicago Blackhawks possible logo update in 2016. 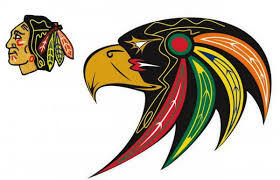 The Chicago Blackhawk’s original logo is a mirror image of the Washington Redskins, but in their defense the team name, is recognized after not just Native Americans but the World War One-era U.S. Army division “The Black Hawks.” When there was a possible update to the logo in 2016, to make it into a bird, Native Americans spoke up to keep the original, out of respect for those associated with the Black Hawks.